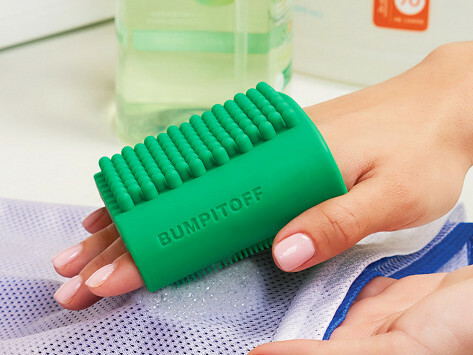 This reusable silicone sleeve fits on your hand in four different positions, enabling you to concentrate scrubbing power in the palm of your hand or on your fingertips. It has endless cleaning applications in every room of your home. Dimensions: 3" x 4" x 1.5"